Dizengoff, located inside the always-bustling Chelsea Market, is the first New York eatery for Philadelphia chef Michael Solomonov. The menu includes hummus, shakshuka and various salads. Dizengoff, Chelsea Market, 75 Ninth Ave., New York, NY 10011, 646-833-7097. Günter Seeger, a German-born chef known for his (now-shuttered) Atlanta restaurant, has a new venture in the West Village. Günter Seeger NY, with 42 seats, is a homey spot that offers a nightly tasting menu that skews Teutonic. Günter Seeger NY, 641 Hudson St., New York, NY 10014, 646-657-0045. The pizza-choosing process is unique at PN Wood Fired Pizza in NoMad: diners can decide what type of flour they want in the dough as well as whether they prefer a thin-crust, Neapolitan-style or hand-stretched pie. There are also pasta and meat dishes on the menu. PN Wood Fired Pizza, 2 W. 28th St., New York, NY 10001, 646-964-4834. The new 2nd City is a casual place in the West Village offering a hybrid of Filipino, Asian and Mexican cuisines. Menu items include butter-poached-barracuda tacos and quinoa bowls filled with tomato, cilantro and scallion. 2nd City, 525 Hudson St., New York, NY 10014, 917-639-3262. Former Devi chef Suvir Saran has opened Tapestry in the West Village. The eatery blends the cuisines of India, Mexico and the Mediterranean. Tapestry, 60 Greenwich Ave., New York, NY 10011, 212-373-8900. Philadelphia chef Jose Garces has opened Amada, a lower Manhattan eatery that focuses on the cuisine of Spain in general, and the region of Andalusia in particular. Amada, 250 Vesey St., New York, NY 10080, 212-542-8947. The Four Seasons Restaurant, currently located at 99 E. 52nd St., will close on July 16, 2016. But the owners have found a new home for the restaurant, and it will reopen in 2017 at 280 Park Ave. (at E. 48th St.). The restaurant taking the Four Seasons' place in the famed Seagram Building --- from the boys behind Carbone, etc. --- will have a new name. 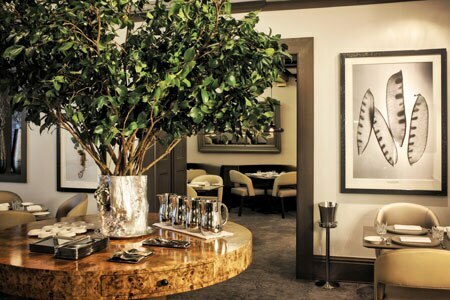 The Four Seasons Restaurant, 99 E. 52nd St., New York, NY 10022, 212-754-9494. Spice Market, Jean-Georges Vongerichten's 12-year-old Meatpacking District restaurant, might be looking for a new home next year. According to reports, the building's landlord wants a retail business in the space and so when the lease is up on Spice Market, the eatery would need to relocate. Spice Market, 403 W. 13th St., New York, NY 10014, 212-675-2322. Saul Restaurant + Bar, located inside the Brooklyn Museum, has a new name: The Norm, named for Norman Feinberg, a museum trustee. Saul Bolton is still in charge of the kitchen, but the menu now has a more international range. The Norm, Brooklyn Museum, 200 Eastern Pkwy., Brooklyn, NY 11238, 718-230-0897. French bistro La Gamelle has introduced happy hour from 5 p.m.-7 p.m. weekdays at the bar only. Patrons can enjoy drink specials, including $5 draft beers, $8 house wines and an $8 rotating house cocktail. There are also specials on bites like steak tartare, as well as $1 little neck clams and $2 oysters. 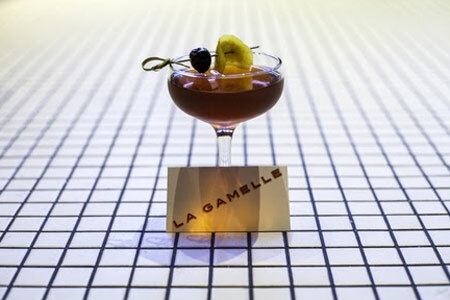 La Gamelle, 241 Bowery, New York, NY 10002, 212-388-0052. Good news for food-fair lovers: Saturday, May 14th marked the reopening of Hester Street Fair. This year's new food stalls include Gordo's Cantina and En Japanese Brasserie which will be dishing up Japanese fried chicken. Hester Street Fair, Hester & Essex Sts., New York, NY 10002, 917-267-9496. The Meatpacking District's food hall, Gansevoort Market, has shut down to make way for the new incarnation of Pastis. The market will reopen at 353 W. 14th St. New vendors will include Big Gay Ice Cream Shop and Luke's Lobster, among others. The James Beard Foundation Awards took place on May 2, 2016, in Chicago, and a handful of New York restaurants and chefs took home honors. Maison Premiere won for Outstanding Bar Program; Ken Friedman (The Spotted Pig, The Breslin Bar & Dining Room, and others) was recognized as Outstanding Restaurateur; Daniela Soto-Innes of Cosme was named Rising Star Chef of the Year; Jonathan Waxman nabbed the Best Chef: New York City award; and Eleven Madison Park was awarded Outstanding Service. Grand Banks, the boat docked on the Hudson River that serves up cocktails and small plates for the water-loving masses, has reopened with the warm-weather season. Expect long lines, so get there early. Grand Banks, Pier 25, New York, NY 10013, 212-960-3390. Mexican chef Enrique Olvera, who has wowed the Big Apple with his elevated Mexican fare at Cosme, has announced that he'll open a more casual Mexican restaurant in NoHo (372 Lafayette St.) by the end of 2016. The working title at the moment is Atla, but it's not yet set in stone. Juliette Pope, who has worked as the beverage director at Gramercy Tavern for almost 20 years, will leave her post. There’s no word yet on where she will land next. Gramercy Tavern, 42 E. 20th St., New York, NY 10003, 212-477-0777. Roberta's chef de cuisine Nick Barker has left the hipster Italian spot in Bushwick. His replacement is David Selman, who has spent time in the kitchens of Corton, Brushstroke and Pujol in Mexico City. 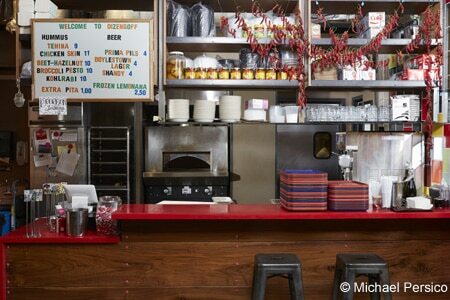 Chef Carlo Mirarchi is still overseeing the kitchen at Roberta's as well as Blanca. Roberta's, 261 Moore St., Brooklyn, NY 11206, 718-417-1118. Pravda, the once very trendy SoHo bar and restaurant with a proclivity for serving vodka and caviar to the see-and-be-seen crowd, will shut down for good at the end of June 2016. Pravda, 281 Lafayette St., New York, NY 10012, 212-226-4696. Juni, the domain of talented chef Shaun Hergatt, turned off its burners permanently on Saturday, May 28, 2016. There is no word yet on what the chef will do next. Juni, Hotel Chandler, 12 E. 31st St., New York, NY 10016, no phone. Salvation Burger is temporarily closed due to a fire. Salvation Burger, The Pod Hotel 51, 230 E. 51st St., New York, NY 10022, 646-277-2900. Longtime Vietnamese restaurant Mekong, anchored on the corner of Sixth Avenue and King Street, has closed. Mekong, 18 King St., New York, NY 10014, no phone. Co-Op Food & Drink, the in-house restaurant at Hotel on Rivington on the Lower East Side, has shut down. It will be replaced by a Mediterranean place called Café Medi. Co-Op Food & Drink, Hotel on Rivington, 107 Rivington St., New York, NY 10002, no phone. After about a decade in Brooklyn's Bushwick neighborhood, pioneering restaurant Northeast Kingdom has closed. Northeast Kingdom, 18 Wyckoff Ave., Brooklyn, NY 11237, no phone. Tasca Chino, the one-year-old Latin-Asian fusion restaurant, has closed. Tasca Chino, 245 Park Ave. S., New York, NY 10003, no phone. Chef Bill Telepan's eponymous Upper West Side restaurant, Telepan, has shut down permanently. Telepan, 72 W. 69th St., New York, NY 10023, no phone. Five-year-old Williamsburg restaurant Isa has shut down permanently. Isa, 348 Wythe St., Brooklyn, NY 11249, no phone.